Translucent. Silky. Highlighting. This silky gelée highlighter lifts and defines your facial features with strobed luminosity. 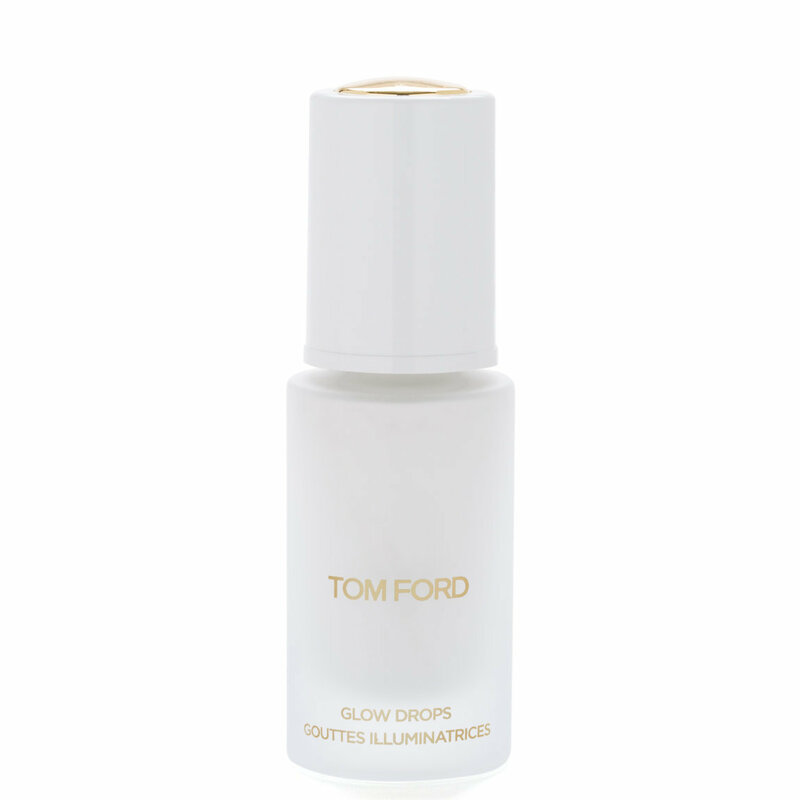 Infused with aloe vera leaf juice, TOM FORD Soleil Glow Drops blend flawlessly into the skin for a soft-focus, diffused glow. Apply on the bridge of the nose, highpoints of cheeks and the chin, and under the eyebrow arch. For an all-over glow, mix with foundation or moisturizer. Ok highlighter. Better to mix in. As a stand alone highlight, this is very subtle. However, it's great mix in for foundations that are too matte. You could also use it as a base for powder highlighter to make it last longer.